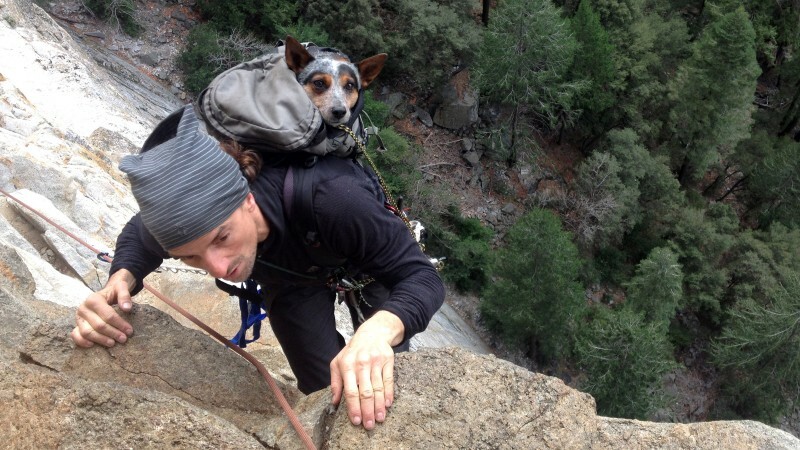 Dean Potter, the late climber, highliner, and BASE jumper writes about the passions of his life: his dog, his girlfriend, and the outdoors. The weather doesn’t change, and our little family settles into an awkward meditative perch atop the Mushroom pillar. Neither Jen nor I speak. Internally, I recount putting Whisper in the BASE pack and securing her full-strength Ruffwear Doubleback Harness to me with three separate lanyards. Though my body is warm inside the nylon suit, I start to shiver and wonder if what we’re doing is right. Wingsuit BASE-jumping feels safe to me, but 25 wingsuit fliers have lost their lives this year alone. There must be some flaw in our system, a lethal secret beyond my comprehension.